Never fall victim to buying a used vehicle that is not all that it is cracked up to be. While any car or truck can look great on the surface, if you are going with a private sale or a used car dealership that you are not familiar with, you could be in for a bad experience. Shopping for used Dodge cars for sale in Bothell will be a lot easier when you are able to put your trust into a used car dealership like Carson Cars. Our award winning customer service team will be happy to work with you to find the used Dodge car that you have been searching for. All you have to do is meet with our staff and go over the model that you are interested in and the price range that you are willing to invest in. Even if you are not sure of a particular model, you can go over the details that you are hoping for in a vehicle and we will show you all of the options that we have available on the lot. You can rest assured that all of the vehicles that are up for sale at Carson Cars have been through a tough inspection process to give our buyers nothing but the best. Instead of worrying that you are investing in a used vehicle that is going to have all kinds of problems, we back all of our used Dodge cars with a guarantee. We also have a professional maintenance staff that will be happy to offer the best repairs and regular maintenance for the life of ownership. 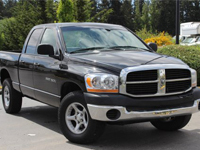 Buy your next vehicle with Carson Cars and shop used Dodge cars for sale in Bothell. Call us (855)583-9356 today for selection and pricing information.